Once upon a time I was a production coordinator; basically an office job where you're responsible for getting the paperwork right, the countless reservations made, and the office pa's on track. It was a pretty horrible job working as a secretary for a hundred or so people. And, as the cliche goes, "at all hours of the day and night". I hated it and frankly, I wasn't any good at it. But I remember thinking, "Oh, if only I was a set decorator. THAT looks like a fun job." 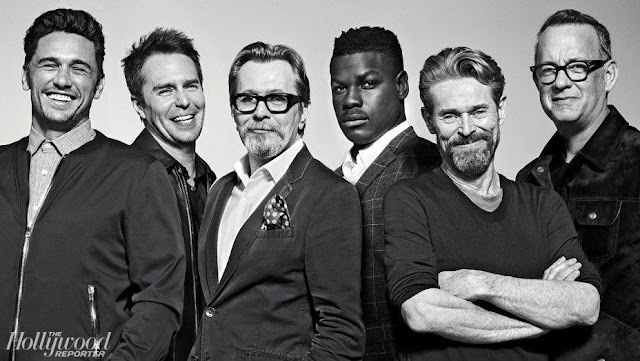 I have to think that for the art department on The Rum Diary, shopping for 'set dec', dressing the set, especially in a period piece was not only a real art, it must have been a last. Think about all the tiny details that go into making a newspaper office set in the early 60's in Puerto Rico authentic. There's an amazing amount of research that has to be done. From furniture to fans to typewriters, to pens and pencils; if it doesn't look right, it brings the audience right out of the film. It's a challenging, creative, Herculean task! 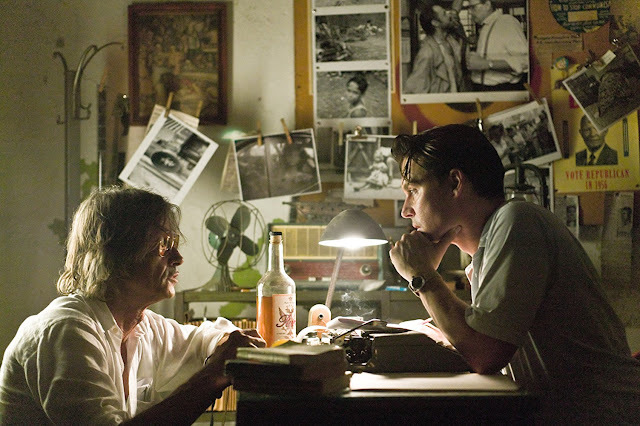 Oh, to be Rosemary Brandenburg, the set decorator for The Rum Diary. That's a job I would have loved! The set decorator works under the production designer who works hand in hand with the director to determine the look of the film. And then there's the location manager who goes out hunting for locations that fit that look. And it looks like in The Rum Diary, no matter whether the film turns out to be a critical success (it's not looking good at this point) that Chris Seagers, the production designer (X Men First Class, Unstoppable, Saving Private Ryan), Rosemary Brandeburg, the set decorator( Mission Impossible/Ghost Protocol, Cast Away, The Rock), Karen Uphoff, the location manager (Men Who Stare at Goats), as well as Dariusz Wolski, the cinematographer (Crimson Tide, Pirates of the Carribean, Bad Company - which my husband also worked on in Prague), have got it right. 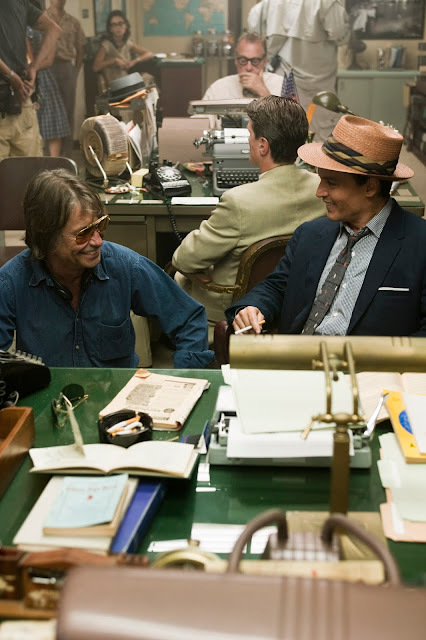 Upcoming release The Rum Diary, starring Johnny Depp and Aaron Eckhart, explores the breathtaking scenery of 1960s Puerto Rico as the story of the drunken journalist Paul Kemp and his dealings at a newspaper unfolds in the Central American territory. Production designer Chris Seagers and his team embarked on an intensive period of research into the area. “Puerto Rico, at that time, was a really depressed place,” says Seagers. “It was very poor, and the main industry there was agriculture. However, American developers were beginning to move in, bringing the oil refineries and pharmaceutical companies. 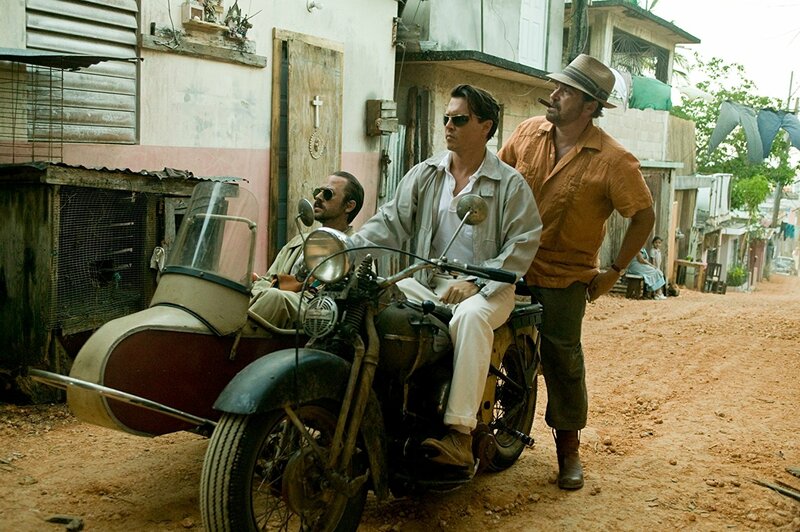 Capturing location photography was critical for both the film’s director Bruce Robinson and Depp. 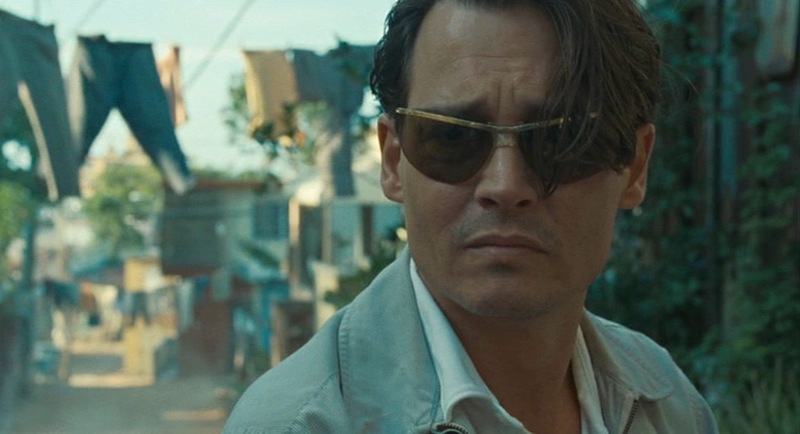 “We didn’t shoot on sound stages because Bruce Robinson just doesn’t feel it,” Depp says. “He’s an animal of the street. He likes to be in an environment that’s not necessarily structured for cinema, but for feeling and emotion. It’s what you’d call available stimulus. 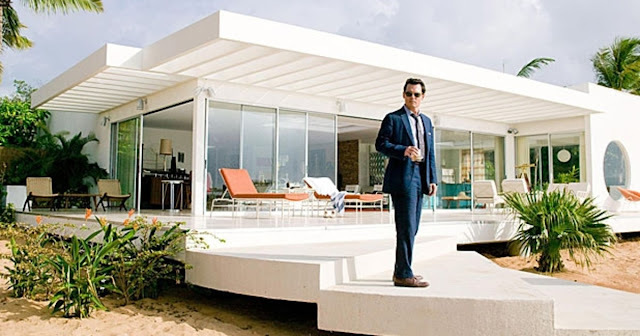 Bruce was pretty adamant about the idea of shooting in locations and there’s nothing better for an actor than to be in that world.” The principal location that Robinson was looking for was businessman Sanderson’s beach house, which represented the essence of the story. It had to be the quintessential Caribbean paradise, aquamarine water, sugar white sand, waving palm trees, and beautiful sunsets. The film did not have a large budget for construction. However, it was soon obvious that the only way to get the combination of an exquisite beach house and the glorious beach location was to build it. The location department was fortunate enough to find the perfect spot at the Governor’s beach property, located just outside the town of Fajardo in Puerto Rico. “The concept behind the design of Sanderson’s house was that the first time Kemp walks through the door he sees that perfect horizon line. It’s just the ocean and that house!” explains Seagers. “It’s everything he has ever dreamt of. The house, the girl, the ocean, the boat! 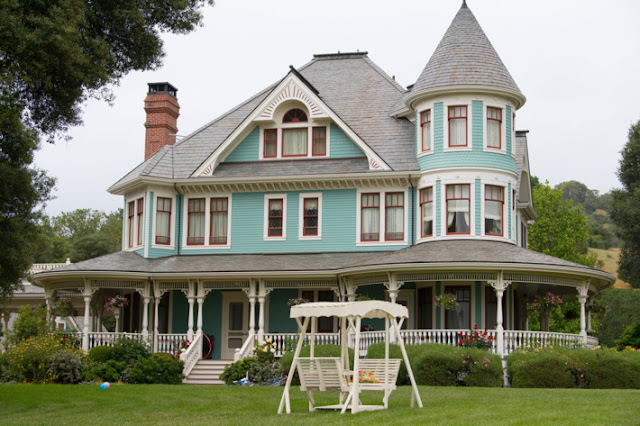 Initially, he is in awe of the whole thing; but as we progress through the movie he becomes more and more disillusioned.” Set decorator Rosemary Brandenburg was ecstatic when she saw Sanderson’s house. Another notable set was the San Juan Star newspaper office, Kemp’s place of employment when he arrives on the island and where he meets most of the principal characters in the story. Finding the right location in old San Juan was key. “Bruce wanted to see some landscape, and show 1930s windows,” says Seagers. In addition to the newspaper offices, one of the key visuals in the film was the printing press. Seagers was very skeptical about the prospects of finding a period printing press. “One day we heard that The San Juan Star had closed down,” says Seagers. “We tracked down the proprietor who invited us over and there it was.